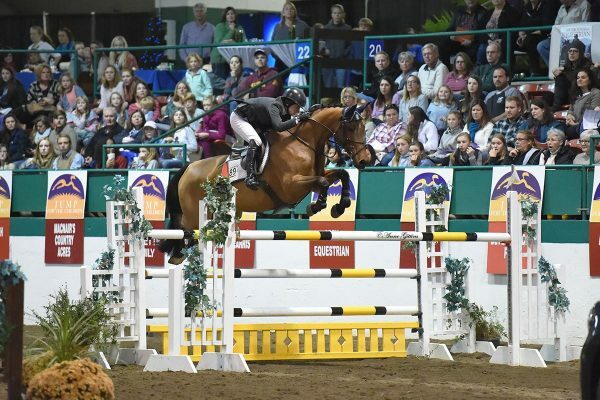 East Dorset, Vermont – Ireland’s Darragh Kenny and Tonic jumped to victory in the $10,000 Kenneth Cole Welcome Stake, presented by Manchester Designer Outlets, on Thursday, July 26 at the Vermont Summer Festival in East Dorset, VT. 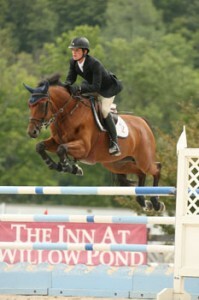 The six-week Vermont Summer Festival is running at Harold Beebe Farm from July 4 through August 12, 2012. 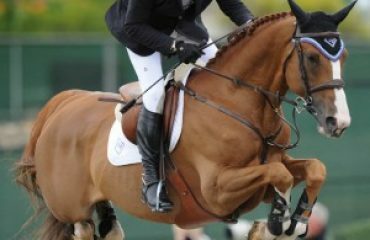 In a nine-horse jump-off, Kenny and Tonic beat out Georgina Bloomberg and Radio City and Mark Leone and Pleasure de Riverland, who finished second and third respectively. 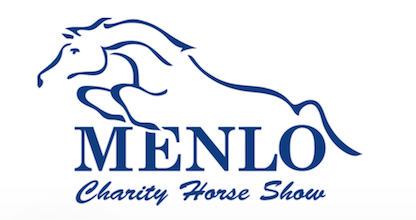 Ken Krome is the course designer in the grand prix ring for week four’s Valley Classic competition at the Vermont Summer Festival, and had the task of setting the course for Thursday’s $10,000 Kenneth Cole Welcome Stake. 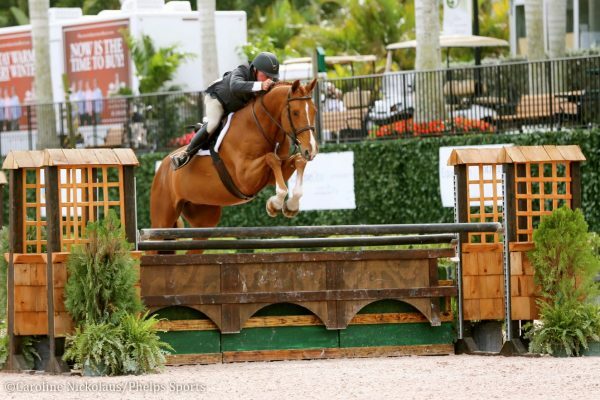 With 24 entries, nine horses jumped clear to advance to the jump-off, with three again jumping clear. Mark Leone, of Franklin Lakes, NJ, and Ri Arm Farm’s Pleasure De Riverland were the first pair to clear the course and jumped off in 40.01 seconds to eventually finish third. Several rounds later, New York City’s Georgina Bloomberg and Radio City, owned by Gotham Enterprizes LLC, also jumped double clear and were quicker in a time of 37.02 seconds to place second. Darragh Kenny and Tonic were the final duo to jump double clear, stopping the clock in 36.44 seconds for the win. 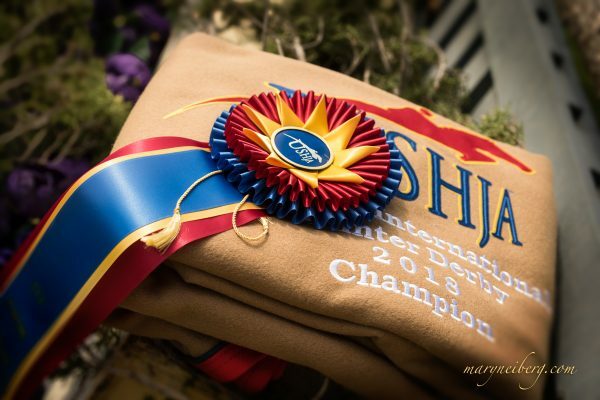 Jimmy Torano of Ft. Lauderdale, FL, and Wayne R, owned by Palm Meadow Farm LLC, had the fastest time in the jump-off with 35.86 seconds, but a rail down left Torano fourth overall in the final standings. 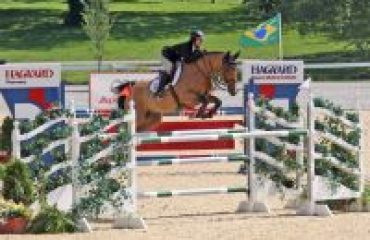 The winning horse, Tonic, is an eight-year-old Hungarian Warmblood gelding by Timorrak Des Isles, owned by Rachael Barnes. Kenny is riding Tonic this week to prepare him for Barnes, who will show the gelding in the Junior Jumper division next week. Kenny rides for Missy Clark and John Brennan at North Run, which is based less than two hours from the competition grounds in Warren, VT. 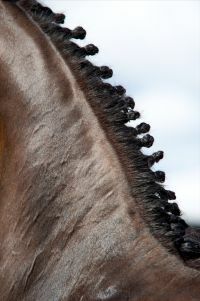 He enjoys the opportunity to show so close to home in the beautiful environment at Harold Beebe Farm. Georgina Bloomberg finished second to Kenny in Thursday’s competition and was pleased with her ride on Radio City. Bloomberg showed in Vermont as a teenager when the festival was in a different location and was excited to return to the competition this year.